McKee Properties is one of Chula Vista’s leading property management and leasing companies. Since 1982 we have helped thousands of Chula Vista property owners with their management and leasing needs, and we continue to be an industry leader in the markets we serve. We invite you to learn more about us, and our innovative systems that help us rent your property faster. Online Advertising - this is the foundation of a successful marketing campaign to get your property rented fast. FREE Professional Photography – once you sign up for full service management, we will send out a professional photographer to photograph your property. Professional-grade pictures attract renters faster. MLS – we advertise many of our rental listings on the San Diego County Multiple Listing Service, giving your property exposure to over 17,000 Realtors county wide. Virtual Tours* - we offer professionally produced virtual tours on selected rental listings. For examples of these tours, visit the McKee Properties YouTube channel by clicking here. Online Guest Cards – with our easy to use online guest cards, prospects can request a showing and request more information at the touch of a button, 24hrs a day, 7 days a week. Once a guest card is received, the prospect will receive a prompt response from one of our team members. Signage – McKee Properties has gained the reputation as an industry leader in the Chula Vista rental market. With over 30 years in the industry, our signature green and blue FOR RENT signs have become a familiar sight around San Diego County. Licensed Leasing Agents staffed 7 days per week – we never stop working for you! We have found that Saturdays and Sundays are often our busiest leasing days. With most of the general public off from work on weekends, we are busy showing our available rentals to accommodate prospective resident’s individual schedules. Same day private showings – many property management companies only show your property one day a week and hold open houses as opposed to private showings. Industry research has proven private showings to be much more effective, as prospects don’t feel rushed and can ask questions one-on-one with the leasing agent. 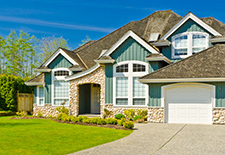 Same day showings also accommodate unique schedules – we are not a one-size fits all company. We work around people’s schedules. Online Renal Applications with pay by credit card option – tenants can apply on-the-spot during their showing using their personal smartphone or tablet. This results in a much higher closing ratio for resident conversion. Gone are the days of paper applications and personal checks to process screening reports. Electronic Banking – on time income distributions ACH or wire transferred directly to your bank account of choice. Electronic reporting – with our easy to use online owner’s portal, you can access your owner account 24/7 with up-to-date information about your property. Want to see if your resident has paid rent? Forgot how much that window repair cost? Log on and get up-to-date information about all your income and expenses. Bill Pay – our goal is to make your life easier! We have the ability to pay all of your bills through our bill pay system, assuming there is positive cash flow on a recurring monthly basis. Common recurring bills we pay for many of our clients include gardener, utility accounts, HOA dues, pool service, mortgage payments, insurance, and annual property taxes. Customized Reports – we can generate a variety of reports based upon your needs, ranging from monthly income and expense reports, 12 month report formatting, cash and disbursements journals, rent rolls and much more. Year-End Tax Prep – at the end of the year, don’t worry about scrambling to find invoices and receipts. Our accounting department will handle every detail for you and provide you with a year-end tax statement showing all of your income and expenses in one report, including a Form 1099 to accompany your tax filing. All you need to do is hand these two items to your tax preparer! Through our in-house maintenance division, Certified Property Maintenance (CPM), we provide our clients with timely and cost effective maintenance and rent-ready services. Our employees are state licensed, bonded and insured. In-house licensed and bonded – All of our maintenance techs are properly trained and insured through our company’s general liability and workers compensation policies. Our maintenance company is licensed through the California State Contractors Board, License # 754790. Our maintenance tech’s only work on our properties – through our ongoing maintenance training programs, we train our maintenance tech’s to adopt industry best standards for quality workmanship. Competitive Rates – our hourly rates are competitive, and we stand behind our work. Faster turn-times – no more waiting on 3rd party outsourced vendors to complete the work. We have full control over maintenance and it’s in our best interest to get the job done faster! Faster maintenance = faster lease-up, which results in more income for you. Risk management is one of the most critical aspects of a successful property management plan, but one that is often overlooked by landlords. We take important steps to mitigate risk and protect you from liability. Annual Health & Safety Audit - We strive to provide safe and comfortable environments for our residents. In order to ensure that our residents premises are safe, we conduct an annual health and safety audit, including a questionnaire that each resident is required to complete to confirm that minimum health and safety standards are being met, and further to provide us with written documentation of any property discrepancies. Residents are required to contact their local utility company to schedule free courtesy inspections of their gas appliances, including heating systems and water heaters. This annual audit helps protect our residents and also helps to shield our clients from some of the liabilities associated with the rental property ownership. Lease Renewal Inspections - In addition to inspecting your property each time a resident moves out, we will also perform a comprehensive interior inspection as a condition of renewing your resident’s lease for subsequent terms. Our pro-active lease renewal procedures are instrumental in ensuring that your property is being properly cared for by your resident, and that any deferred maintenance issues are properly addressed. Legal Representation – Our firm has one of the state’s leading landlord advocate attorney’s on retainer to keep us up to date on the rapidly changing landscape of landlord-tenant law. Collections – We partner with one of the nation’s largest collections agencies to ensure that in the rare event that a resident leaves with a delinquent balance, it is aggressively pursued. Resident Surveys - we periodically survey our residents to ensure that they are enjoying their new home. Following completion of service orders, we again follow-up to make sure the work was completed satisfactorily, and that our maintenance techs were punctual, efficient and friendly. Rental Payment Options – paying rent has never been easier! We offer state of the art technology to make paying rent an easy process for your resident. By a touch of a button, residents can make online rent payments and/or schedule recurring ACH payments from a bank account of choice, resulting in higher rates of on-time rent payments. Online Maintenance Requests – residents can submit a non-emergency maintenance request online, 24 hours a day, 7 days a week. Resident Communications - we have designated staff members who are here to assist residents with any issues or questions that arise during their tenancy. We are often told that our staff is very accessible. When our owners or residents call, we are there for them. HOA Rules and Regulation Enforcement – All residents who rent a property with a homeowner’s association will be provided with a copy of the association rules and regulations during the lease signing. We ensure that your resident is complying with HOA rules and regulations, and act as the liaison between the HOA and the resident should an issue arise. 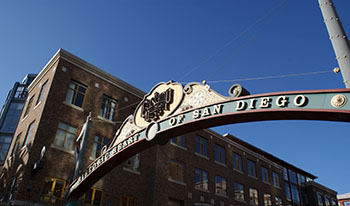 Situated in the heart of the historic downtown, the Chula Vista Heritage Museum showcases exhibits that tell the story of the city’s development from a dusty agricultural town to a modern city. Chula Vista has events happening throughout the seasons! The HarborFest and the Lemon Festival are both celebrated in the summer with food, crafts, music, and all things Chula Vista are showcased. Fall is filled with activities at our libraries and recreation centers for pumpkin carving, scary stories and family fun! We also have a Veteran's Day Parade to honor our nations heroes, past and present. Chula Vista maintains a business atmosphere that encourages growth and development. This small business community is attributed to the city's growth and serves as a stable base for its economic engine. The city has numerous dining, shopping, and cinema experiences. As with many California cities, Chula Vista features many golf courses. Some of the city's notable attractions included the Chula Vista Nature Center, Otay Valley Regional Park, Sleep Train Amphitheatre, OnStage Playhouse, the Chula Vista Marina, and the U.S. Olympic Training Center. The Nature Center is home to interactive exhibits describing geologic and historic aspects of the Sweetwater Marsh and San Diego Bay. Copyright © McKee Properties. All Rights Reserved.